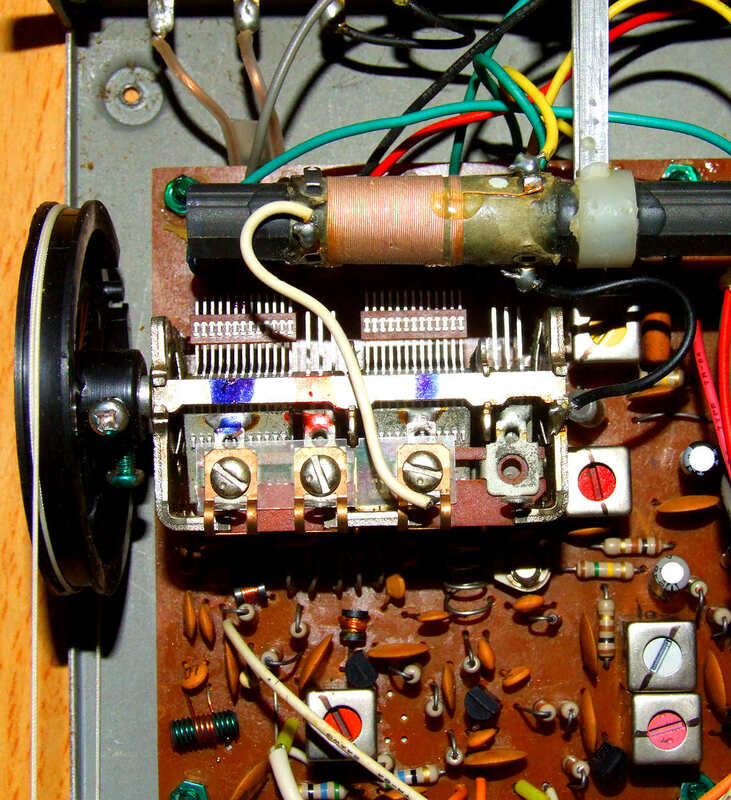 Around 1970 issued tuner for European market, made for the 'Dixons' company, by "Cometro Electric Company" in Japan. 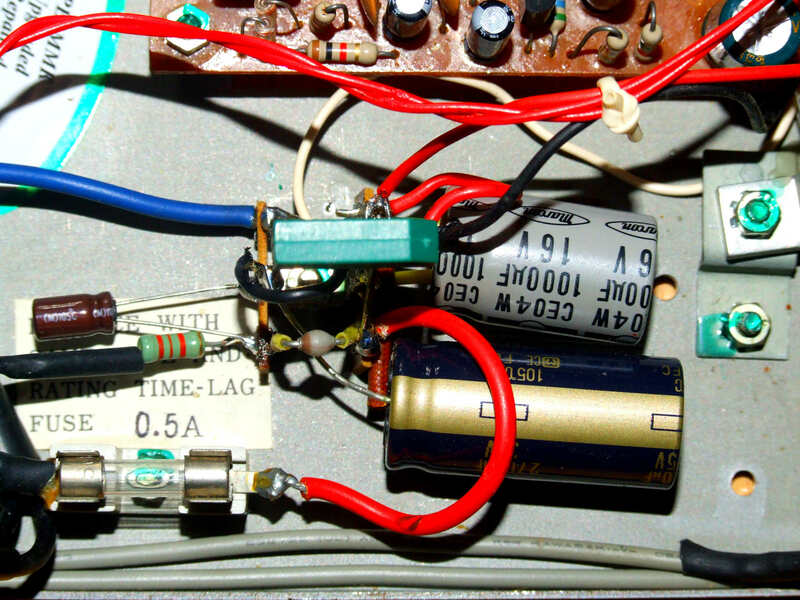 This solid-state tuner is with DIN socket to be replaced by RCA output sockets. Well build and good parts used. Good quality tuner with remarkable good specs. 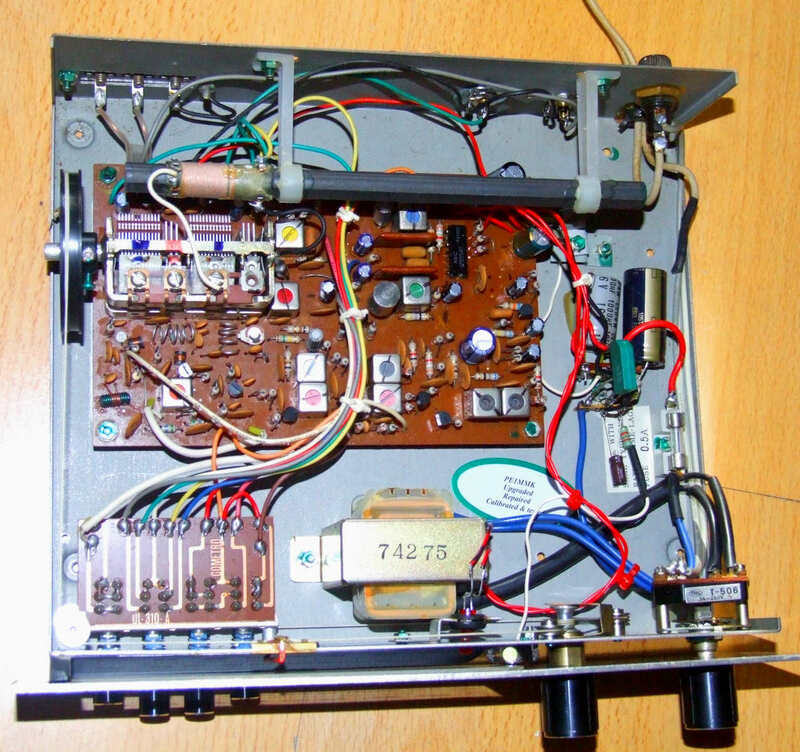 This tuner employs all silicon transistors & 1 fet and 1x µPC554C NEC MPX-IC . The tuner has a stabilzed power supply. Traditional ratio detector, traditional MF section with coils. AFC switch at the front, well working and very usefull. 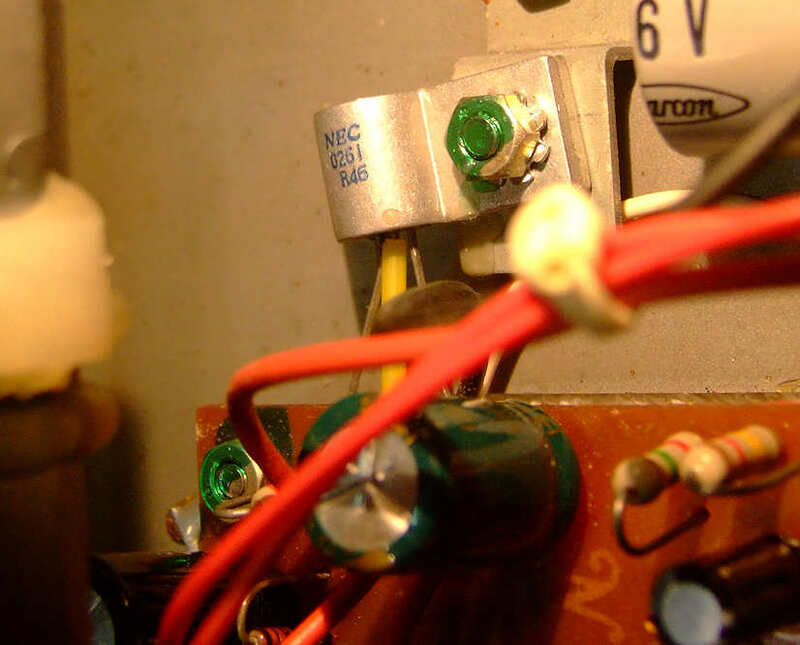 The detrimental power voltage change from 220 to 240V in the EU is no issue here: The tuner has a 240V transformer. 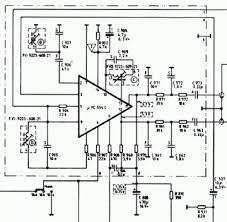 The rectifying in the supply section of the tuner is too simple: only 1 diode is used, and only 1x 1000µF capacitor. This makes the tuner vulnurable to 50Hz hum. 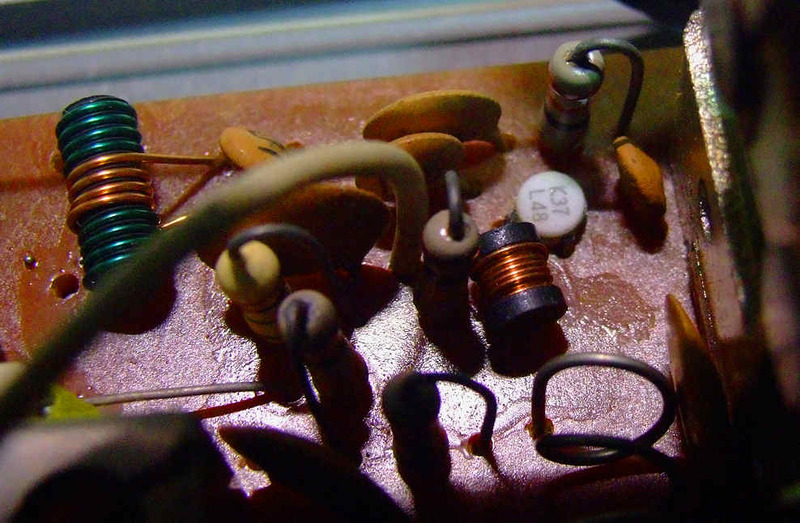 I upgraded the secondary part of the supply to a rectifier bridge with 2 capacitors making 2200µF. I also used the remaining diode for the led's that I replaced the bulb for the scale. 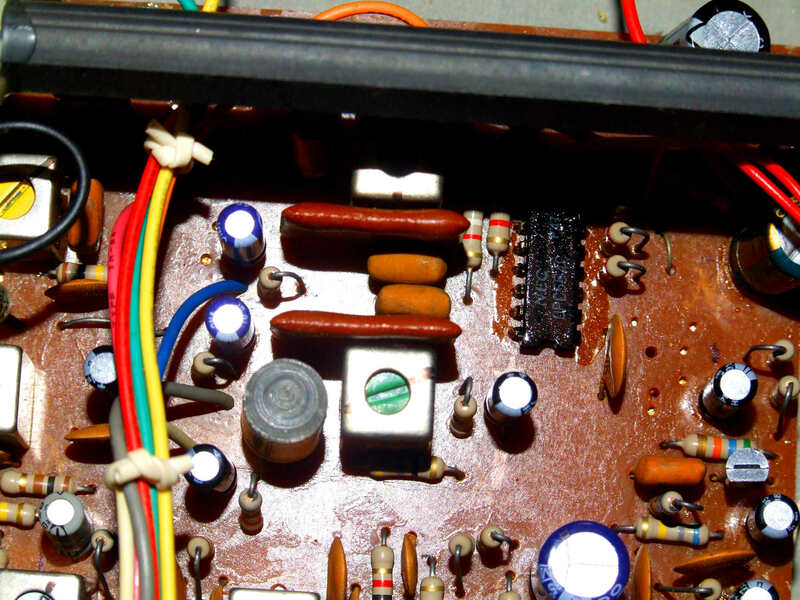 A few extra capacitors may be added to the power supply to get it to modern standards. FM IHF sensivity: 1,8 µV at 25 dB S/N. Distortion (THD 20Hz - 16kHz) ~1% at max input voltage. Channel spearation approx. 40 dB. This tuner may have some issues. The power supply should be updated. The stereo lamp should be exchanged for a red color Led. The scale lamp can also be exchanged by a ledlamp. The output level pot may be obsolete. 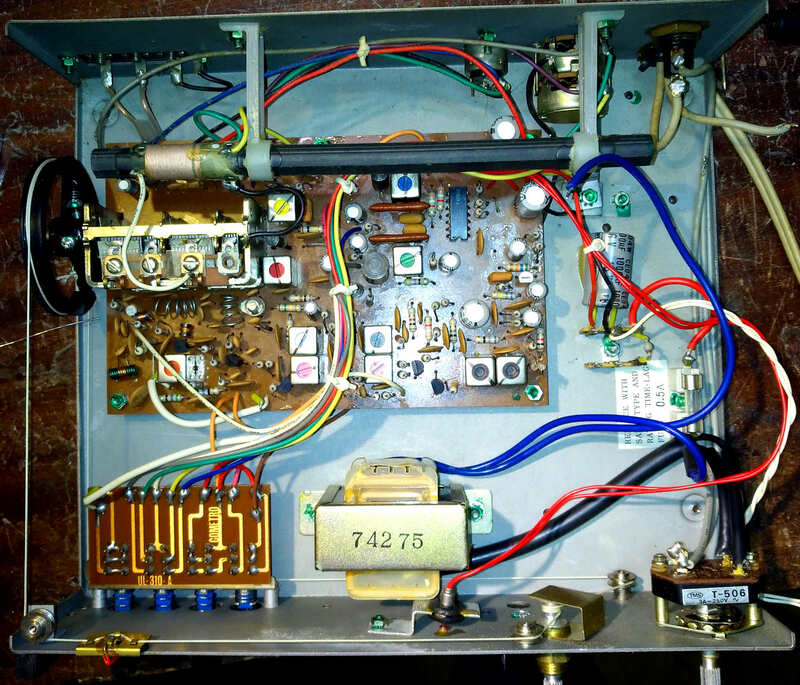 You may replace some capacitors in the power supply and power rail. Check all caps through the whole tuner. Wiring can be improved too, some resistors may have incorrect values. The output DIN socket is obsolete. I replaced the DIN for 2x RCA sockets. when the FM band was a very busy used. The lack of serious selectivity could ie. 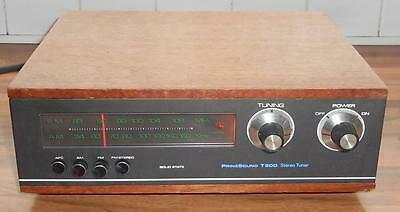 in cities with a full FM band make this tuner not the best choice. outperform modern cheap FM tuners today: it is sensitive, stable and gives very good audio to your amplifier. 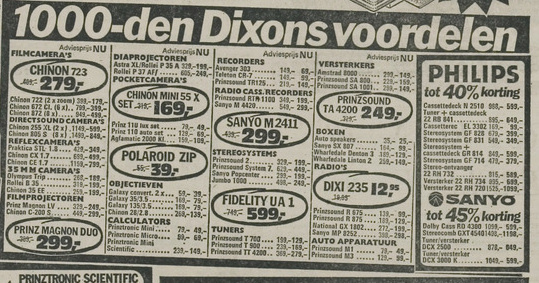 Of course its no match for a Hi-performance FM tuner like a Luxman T12 or T14, but it never meant to be. 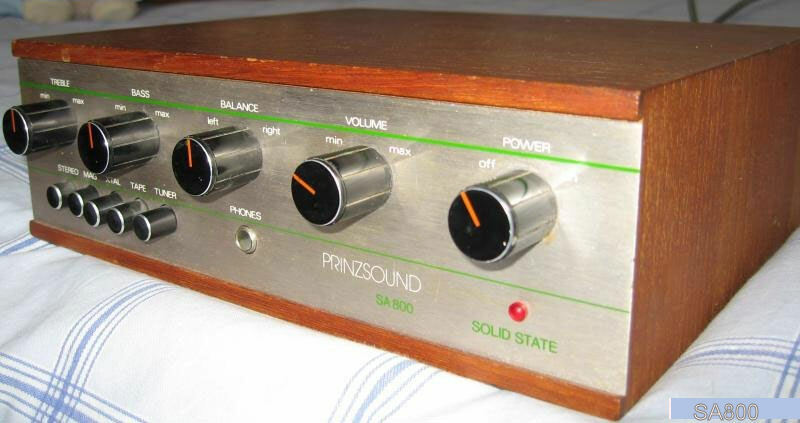 This model was also sold under the name: Audio Sonic model TA-3000T. The inside electronics are older and different, it has also a slightly different wider cabinet. This model is also from Comet Japan. 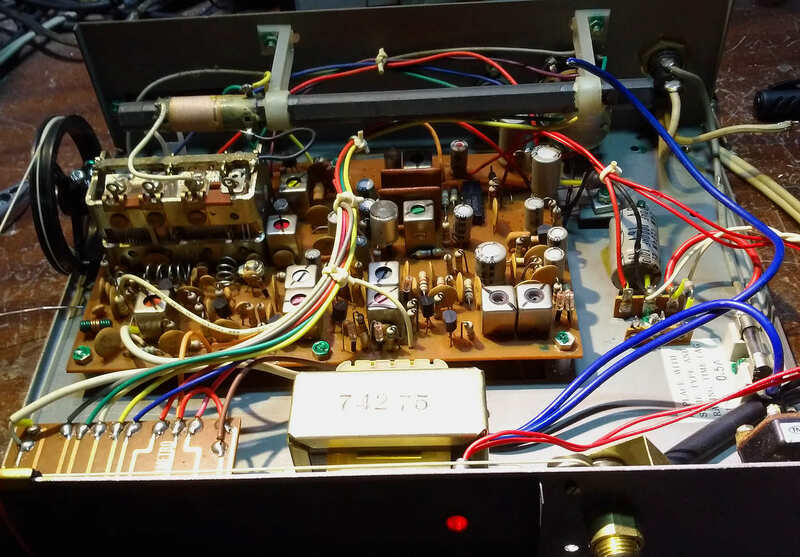 The MW is with a Germanium and Silicon transistor mix, the power supply too. 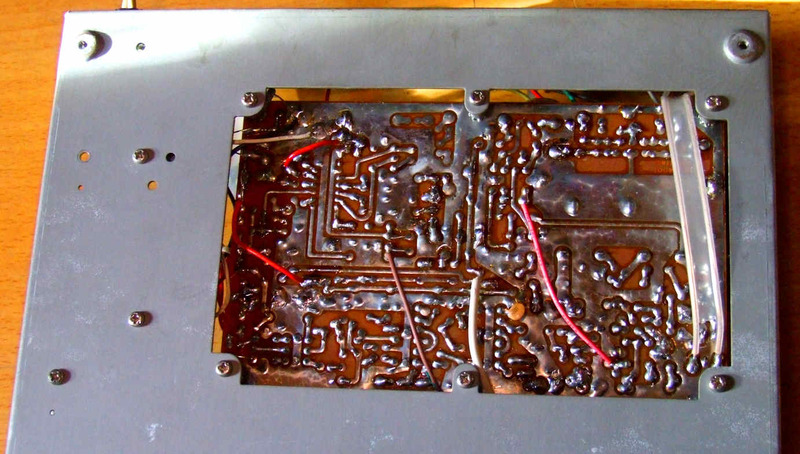 The output audiostage is on the power supply pcb. 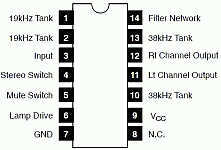 The power supply is also with 1 rectifier diode. The sound is remarkably good for this simple and vintage tuner. 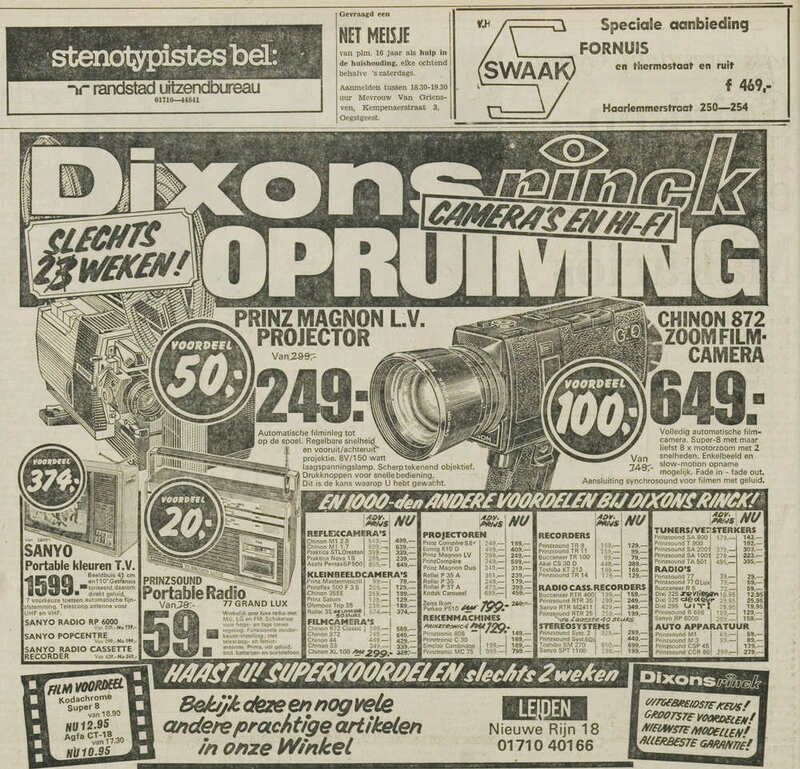 © Hans Hilberink - PE1MMK ® 2003 - Last update: 24-03-2019.